Where balance and better health await you. Your Journey to Better Health and Happiness begins here! Denise Gabrielle LeCompte, L.Ac., M.D. Experience Joy in Your Life! Way of the Life You Want -- It Doesn’T Have to Be that Way! Jianhua Xiao, O.M.D., L Ac. We offer holistic health care including acupuncture, herbal medicine, massage, nutritional therapy, and lifestyle recommendations. Our mission is to prevent or reverse illness and help individuals overcome pain. We partner with our patients to assist them in living more balanced lives and help them find long-term, sustainable solutions for wellness. In practice for twenty five years, I have treated just about everything multiple times. I have extensive expertise in ALL pain related disorders including arthritis, tendonitis, whiplash, and all work injuries. I work with attorneys and doctors on these cases. Fertility work is another specialty of mine. Allergy work is a big part of acupuncture's strengths. Grace was trained in China and is an Oriental Medicine Doctor, or OMD. 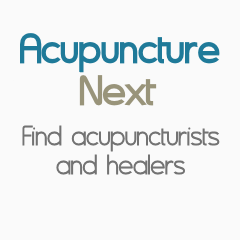 Grace is also a licensed acupuncturist in California with over 25 years of experience. Contact us today for an acupuncture consultation about feeling better. The closest intersection is Williams Road and Nottingham Place. Be sure to watch for our sign near the entrance to our parking lot.